D.K. 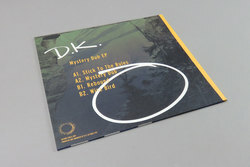 - Mystery Dub EP. Vinyl EP. Bleep. 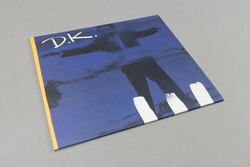 Early Antinote affiliate DK Chau teams up with Music from Memory sublabel Second Circle for a killer 12” of blissful synth work and steel drums. Opening with the Balearic tinged club cut ‘Stick by the Rules’ we’re then thrown into the deep end with the marimba led 120bpm jam ‘Mystery Dub’ before it’s time to flip the record over. Two seriously pro sounding tracks for those early morning dance floors in the in-between hours! The perfect soundtrack for when you’re contemplating going home but decide to stick it til the end and leave feeling like everything is going to work out fine.